On this page we have started to collect some of the online resources that already exist that can help you learn the history of Raymond Alberta and the neighbouring region. Our archive also contains lots of material. If you are interested in researching in our archive, either visit during our open hours or make an appointment to visit. Over the years Raymond has had a number of newspapers. The museum has original copies of many of these in our archives. Thanks to the efforts of the Peel Prairie Provinces you can view and search many of them online. Alberta Heritage has digitized many of the bylaws from the town of Raymond. 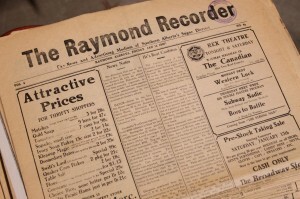 Their online collection spans from Raymond’s first bylaw in 1903 (covering business licenses) to 2008. You can browse the full collection of bylaws online. In 1997-1998 Bob McCue collected oral histories covering the sports in Raymond. You can view those histories online. 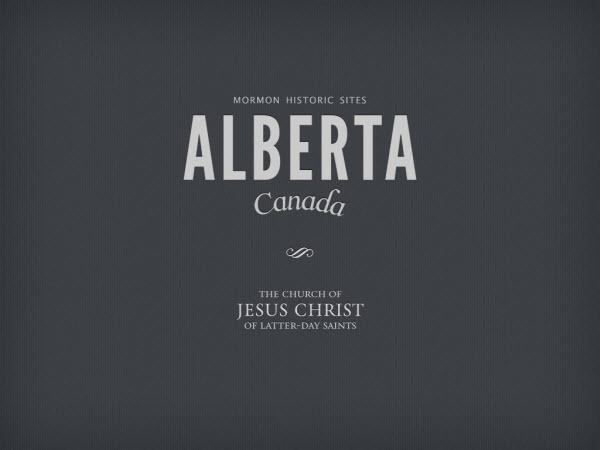 The Church of Jesus Christ of Latter-day Saints has put together a site and iPad app that covers the history of the LDS church in Southern Alberta. The site includes bios, photos, video and personal journals from early settlers in our region. Visit the website or download the app.